Genuine Estate Sale. Fully picked over by family first, as it should be. Everything laid out, priced, great photo's on Craigslist that actually matched the layout in the house when the doors opened, well done. Favourite find was an Anchor Hocking Royal Ruby 14 piece punch bowl set - base, bowl and 12 cups and the ladybird towel was from the same Estate Sale. So cute. RRSP Saving Bank, very Canadian. A metal/plastic gum ball dispenser is always nice find and an Bunny lunch box is cute. 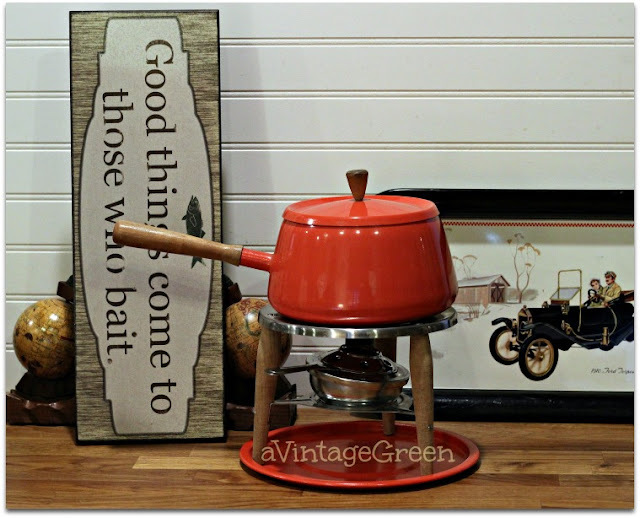 Enamelled Tinware, so handy for camping/travel along with a pastry blender and casserole base. Resturaunt 1 cup sized Teapots, a tea leaf holder and wooden notepaper (with repaired front lift and waxed) along with the dried hydrangea blossoms. Orange Fondue Set, Globe bookends, a tin tray and a sign. 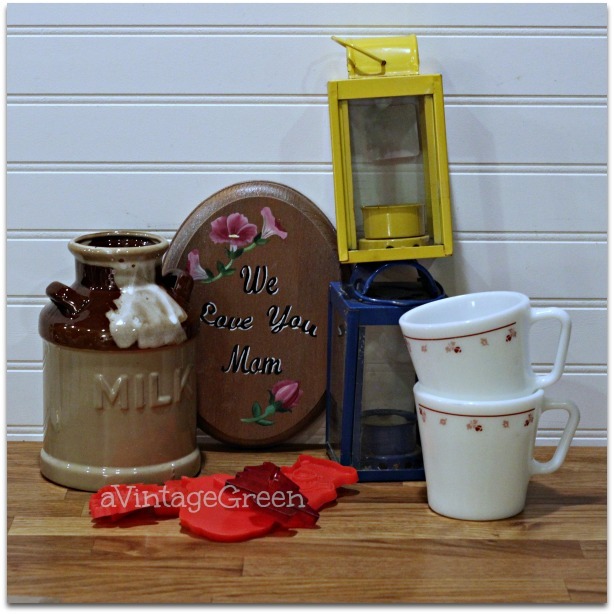 Candle lanterns, Ceramic Milk Jug utencil holder, Pyrex mugs, some plastic cookie cutters and a We Love You Mom wooden plaque. Joy, you found a good sale!! The punch bowl is gorgeous!! Great shopping trip - lots of really wonderful items. Great finds! I love that little vintage tin lunchbox. You found a lot of nice treasures! 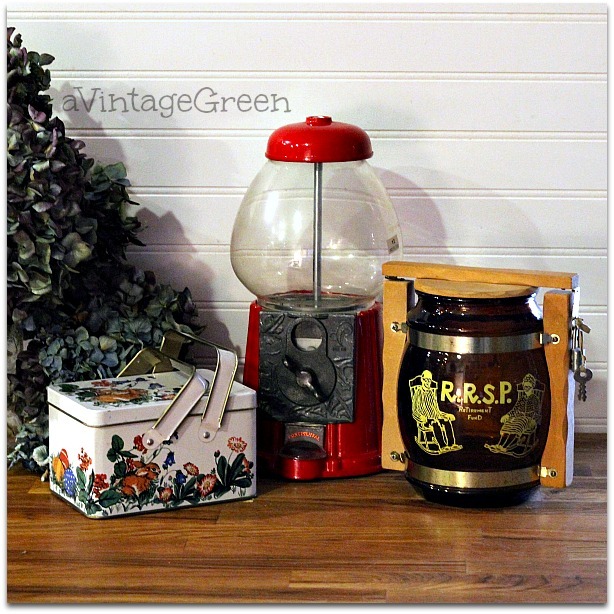 I would've loved to have gotten that gumball machine when my boys were little. Estate sales are fun to go to. You always find great stuff. I haven't been to one since I bought that green dresser months ago. I loved seeing all your goodies!!! Wow, those are some great finds! 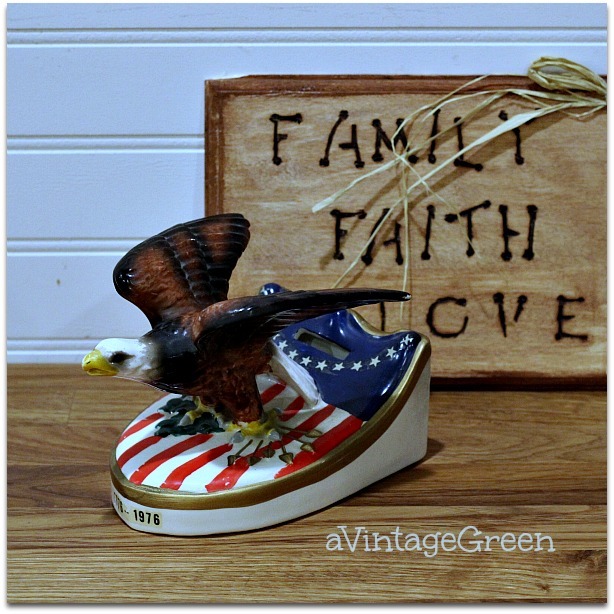 Love the Bicentennial Eagle! Yay! Lots of great finds! You sure found some goodies today! I love it all! Thanks for sharing. Oh the gumball machine...such memories! Lovely finds. I especially love the gumball machine. Have a great week! 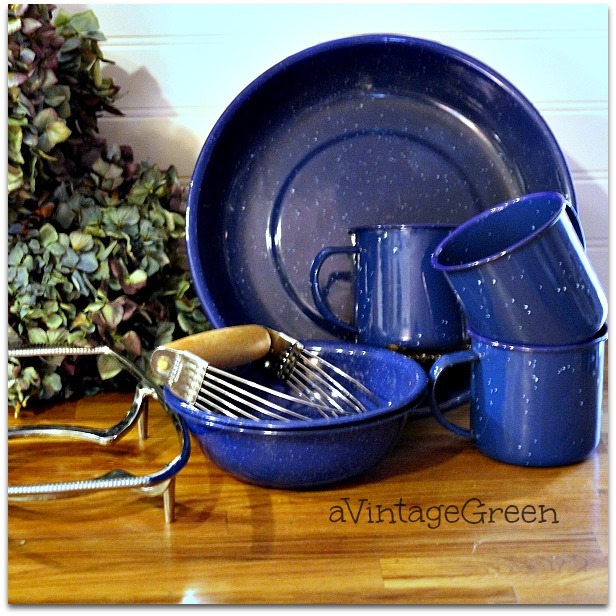 Great treasures - love the enamelware. I love the globe bookends. That looks like it was a great sale. Hi Joy, The thrift finds are all so awesome. You really hit the jackpot. I am happy for you. I too love to find wonderful vintage treasures. The punch bowl is my favorite because you just don't see these very much anymore. 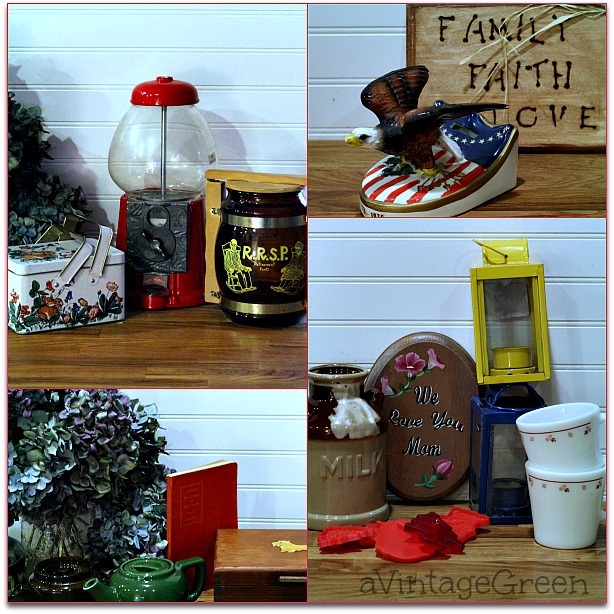 You scored some wonderful finds - I especially love the enamelware and bubble gum machine. I would have snatched those up too! These are wonderful finds! I love ruby glass and that tea towel is darling. Beautiful. Great finds!!! Beautiful punch bowl set. 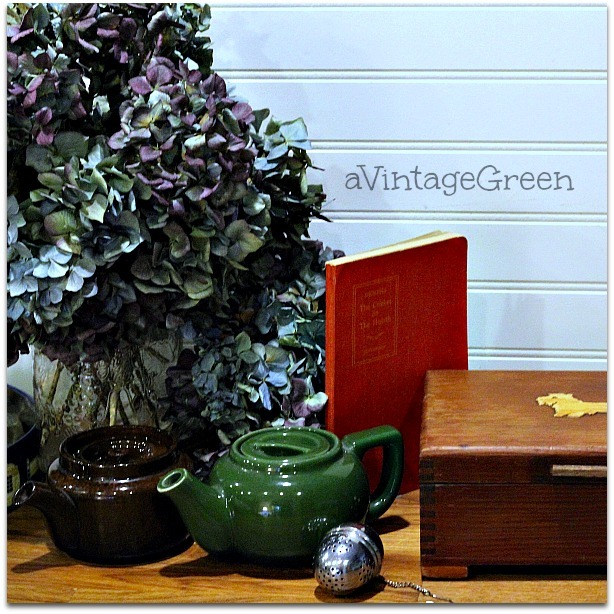 Thanks so much for linking with "Let's Talk Vintage!" 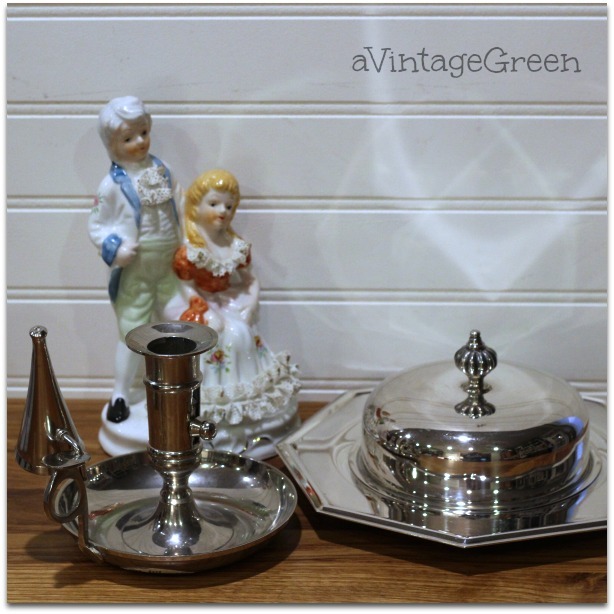 Love that tinware and the candle holders. Oh, my goodness! So many fabulous finds. I think my favorites are the red punch bowl and cups and the blue enamel ware. Dearest Joy, how I love stopping for a visit to see your latest finds or creations. It's always a blessing to have you at Roses of Inspiration. 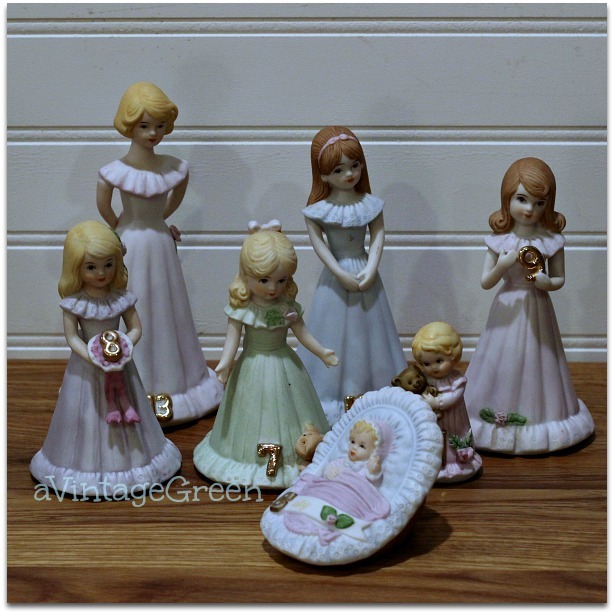 I had to smile when I saw the Birthday Girls...my mom used to get me one every year for my birthday - such sweet memories. Hugs to you! 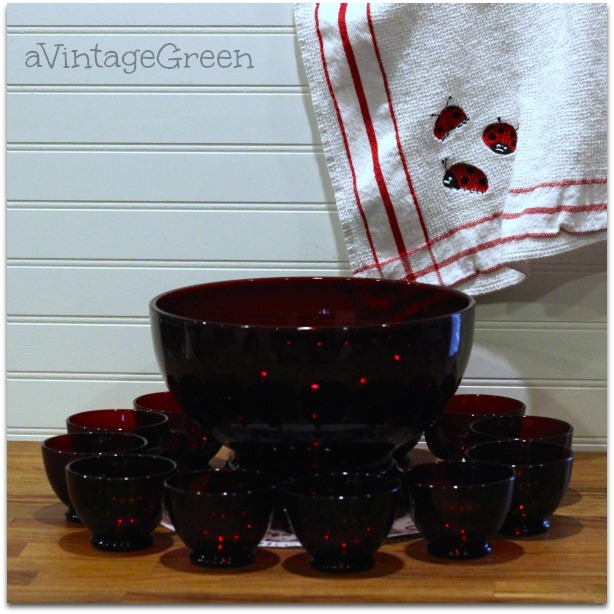 That ruby red punch bowl set is beautiful! What a festive piece for July 4th or Christmas. Thanks for linking up with The Alder Collective! Your post has been pinned to our group board. We hope you'll join us again tomorrow at 8 pm EST!